Cash, Nelson and Denver are some of the biggest names in country music history. This May, fans of these three superstars will get a chance to experience their music live when The Kings of Country take to the Evan Theatre stage. Direct from the US – with sellout shows across the States – some of the world’s biggest and best tribute artists will be returning to Australia for this ultimate country music experience. Phillip Bauer will take on the role of Johnny Cash, recreating the era of memorable hits like ‘Jackson’ and ‘Folsom Prison Blues’. The world’s leading Willie Nelson tribute artist Michael Moore will perform tracks including ‘Always On My Mind’ and ‘On The Road Again’, while Ted Vigil will bring John Denver to life with ‘Take Me Home’, ‘Thank God I’m A Country Boy’ and more. Take a trip down country’s memory lane with The Kings of Country. 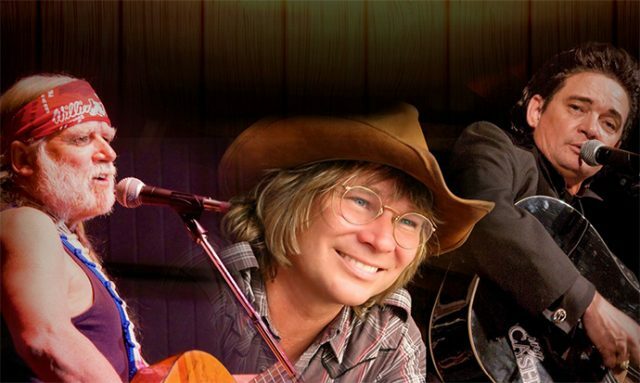 The Kings of Country will be performing at the Evan Theatre on Saturday, May 20 at 8pm. Tickets are $44.50. For more information or to purchase tickets, visit www.penrith.panthers.com.au or call 4720 5555.